Three teenagers have been arrested after leading the Garda Air Support Unit on a wild chase along the east coast in a stolen high-powered boat. 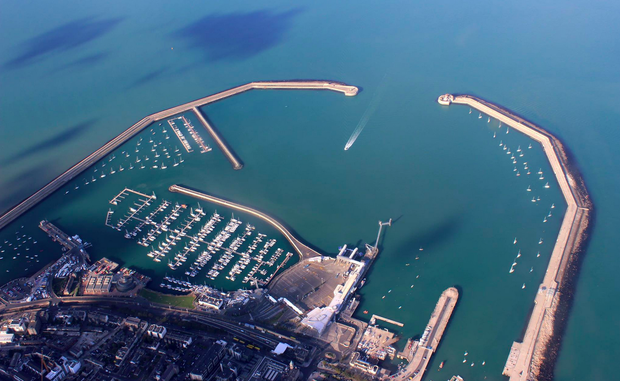 The youths took the expensive 40ft luxury yacht from Dun Laoghaire Harbour shortly after 5.30am on Sunday morning. The sea-faring trio of two boys and a girl, who are all believed to be between 16 and 17, made their way down the east coast. The owners of the vessel notified gardaí, marinas and boat clubs in the area when they noticed the boat was missing. It's believed the youngsters made their way down as far as Wexford before turning around and travelling back up the coast. They were spotted shortly after 1.30pm near Greystones Marina where sources say they were operating the "incredibly powerful boat in a very reckless manner". The Garda Air Support Unit was dispatched and sources say the teenagers engaged in a dangerous game of cat and mouse with the garda helicopter for up to half-an-hour - skimming by other vessels at speed. "It is hard to stress how powerful this kind of boat is, especially in inexperienced hands," said a source. "But as fast as it is, after about half an hour they realised they were beaten by the chopper and started making plans for their escape." The thieves made several attempts to beach the vessel before they finally ran aground near South Beach, Greystones shortly after 3pm. Two of the suspects took off on foot through fields. However, gardaí on the ground, guided by the air support unit, tracked them down a short time later. All three were taken to Bray garda station.